The people of New Orleans embrace life like no other community in the world, so why would you expect them to treat death any differently? Our city is well-known for its iconic above ground cemeteries, but with so many different burial grounds around town and with such limited time, how is a visitor to choose which one to visit? Each New Orleans cemetery has its own unique features. If you’re visiting the Crescent City, check out our recommendations for the best cemetery in New Orleans to visit, depending on which type of tourist you are. 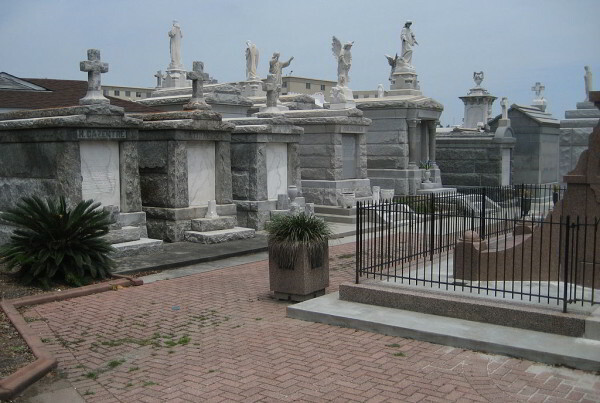 If you’re visiting New Orleans for the history, you’ll want to make a trip to St. Louis Cemetery No. 1. This cemetery was founded in 1789 and is listed on the National Register of Historic Places. It supposedly houses the tomb of voodoo queen Marie Laveau, plus noted historic figures Homer Plessy, of the landmark Supreme Court segregation decision Plessy vs. Ferguson; Etienne de Bore, a pioneer in the sugar industry; and Paul Morphy, world famous 19th century chess champion. 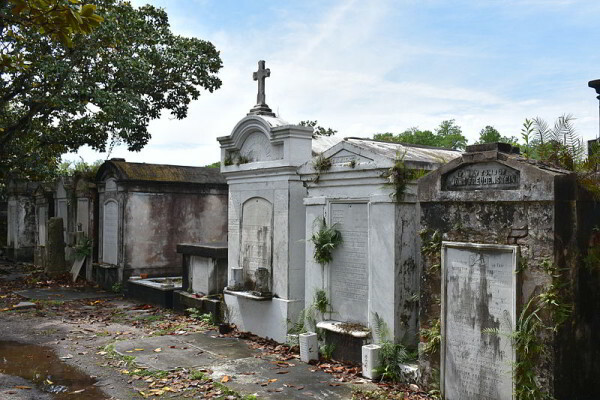 In order to protect it for generations to come, the Archdiocese of New Orleans recently began restricting access to this historic cemetery, so if you want to pay a visit, you’ll need to join an official tour group. French Quarter Phantoms and local non-profit Save Our Cemeteries both offer daily walking tours which depart from N. Rampart Street. 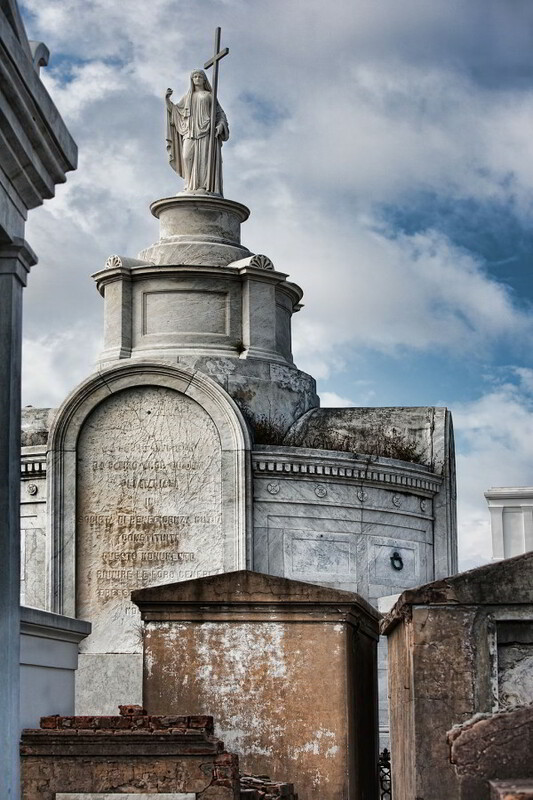 If movies and books are more your thing, you’ll want to check out Lafayette Cemetery No. 1, located in the Garden District across from Commander’s Place, between Washington, Sixth, Prytania, and Coliseum streets. This historic 19th century cemetery features the iconic above-ground tombs you’ll expect to find in most New Orleans cemeteries, but this cemetery has a rich fictional life. It’s been featured in films such as Double Jeopardy (1999) and Dracula 2000 (2000), as well as music videos by LeAnn Rimes and the New Kids on the Block. But some of the most famous “residents” of Lafayette Cemetery No. 1 are from the novels of Anne Rice. Her characters Lestat from Interview with a Vampire and the Mayfair witches from The Witching Hour are all buried here. It’s easy to explore this cemetery on your own. The gates are generally unlocked Monday through Sunday from 7:00 am until 3:00 pm, although closed on most major holidays. For those artistically inclined visitors of New Orleans, St. Louis Cemetery No. 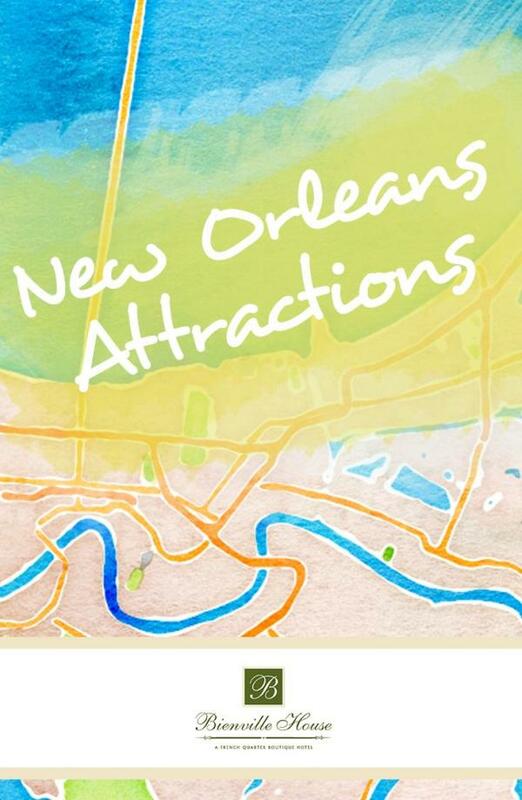 3 offers a perfect day of exploring, as it’s conveniently located near the New Orleans Museum of Art. 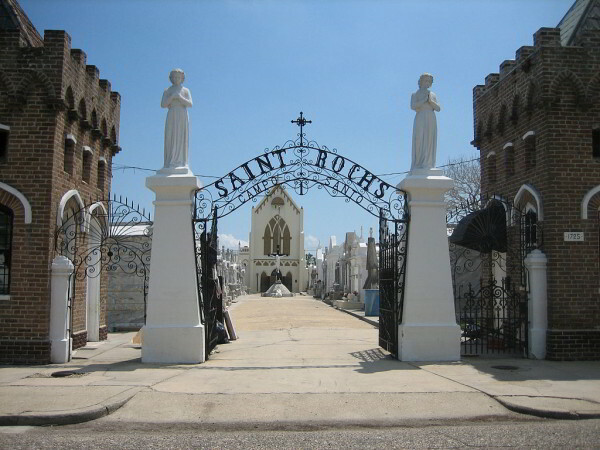 The front gates of this cemetery are located at the end of Esplanade Avenue, which is near Bayou St. John and City Park. From Bienville House, make a full day of it by taking the Canal streetcar line to its final stop; just look for the red streetcars marked “City Park/Museum.” From the final streetcar stop, the cemetery will be a short walk over the bayou bridge to your right. In the opposite direction lies NOMA, at the entrance to City Park. If your tastes are a bit more off the beaten path, you can, join a Confederacy of Cruisers bicycle tour to explore the Marigny, Bywater and 9th Ward neighborhoods, including a stop at St. Roch Cemeteries. The chapel here features sights unlike any other cemetery in New Orleans – inside you’ll find offerings of discarded medical equipment like leg braces and false teeth, plus plaster casts of feet and other body parts, which were left in thanks to St. Roch by local church parishioners. On your way back to Bienville House, stop by the Museum of Death (227 Dauphine St.) to complete your strange explorations. 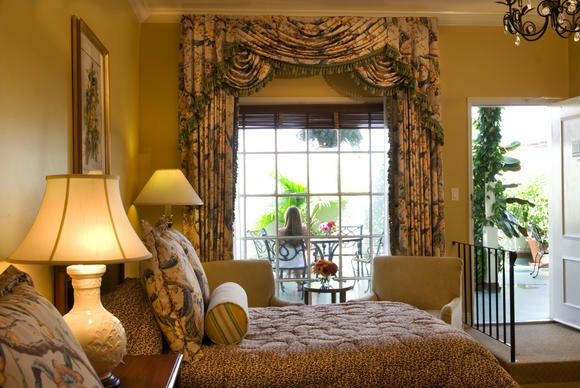 The best cemetery in New Orleans may be a matter of personal preference, but the choice for the best place to sleep while you’re visiting the Crescent City is clear: Bienville House offers the boutique hotel experience you seek in the heart of all the action.